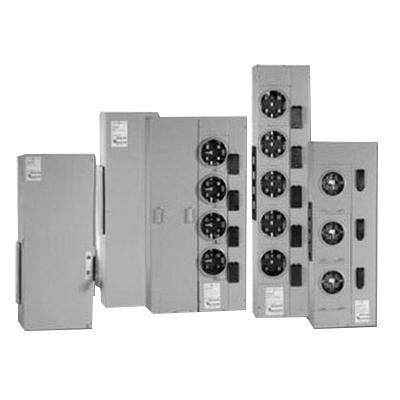 GE Industrial Meter Mod III® 1-Pole 3-Wire Meter stack module has voltage rating of 120/240-Volt AC, 208 star/120-Volt AC and current rating of 125-Amps. It measures 41.6-Inch x 12.26-Inch x 6.62-Inch. This 5-jaw meter stack module features 800-Amp rated aluminum bus. It has front accessible field phase balancing for safe operation. This 1-Phase meter stack module has two ringless sockets. It comes with NEMA 3R rated enclosure. It is perfect for residential applications. Meter stack module is UL listed.